K Number of voting hours, rejection of opposition amendments and Seym's budget for 2019. The deficit assumed for this year should reach PLN 28.5 billion. That means it's expected to reach 1.7 percent. 241 MPs voted in favor of the bill, 192 against and 2 abstentions. 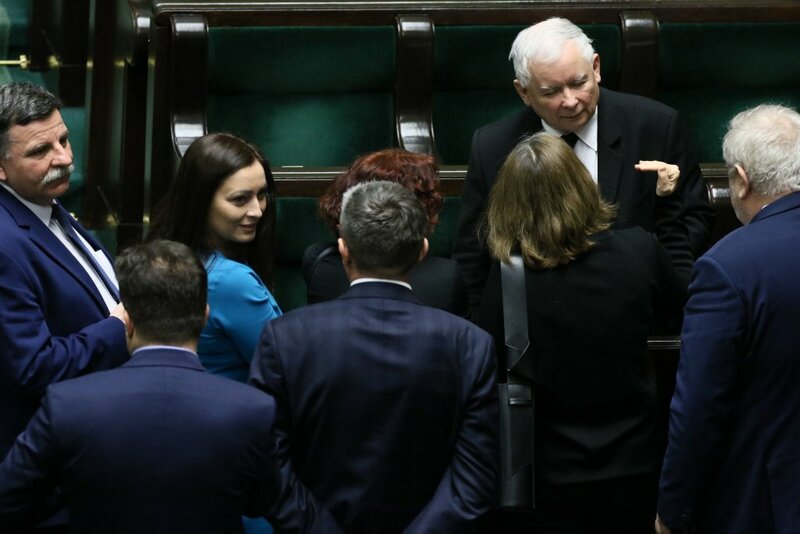 During the several-hour vote, the Sejm rejected over 300 opposition activists. Minority applications and almost one hundred second reading amendments. The deficit is planned at PLN 28.5 billion. The revenue of this year's budget amounts to 387.6 billion PLN, expenditure is PLN 416.1 billion. The budget deficit is PLN 28.5 billion. According to the budget, the public finance deficit, as measured by the EU method, is expected to reach 1.7%. GDP. According to the draft budget for the program "500" PLN 21,2 billion will be spent. 500 is one of the most expensive social budgets. However, the benefits attract fewer people as they become unemployed and wages rise. The draft also contained assumptions about the state of the Polish economy this year. GDP is expected to rise 3.8 percent and average annual inflation is estimated at 2.3 percent. What's next with the budget law? The law is now to be dealt with by the Senate. Senators have the right to make changes to the budget, they will not be able to increase the budget deficit. If the Senate does not table amendments or is not rejected by the Sejm, the budget will be made available to the President. He has no right of veto, he can either sign it or contact the Constitutional Court.
. The Ministry of Finance states that this is a good situation in the labor market, income taxes and "high tax payments for individuals who run a business due to a good economic climate."